Former president Omar al-Bashir was ousted from power last week after months of protests calling for him to step down. The army has appointed a military council that it says will rule for two years but the political figures and activists behind recent protests say they will continue to march in the streets until they’re demands are met. Despite calls from protesters to implement a civilian transitional government, the military is instead in talks with key figures from opposition parties. The main concern for members of the protest movement is the number of people in the military who were appointed by al-Bahir during his 30-year regime. Without a serious overhaul of personnel, protesters fear these appointees will cling to power and possibly select one of its own to succeed al-Bashir. The military has responded by removing several officials from their position, including defence minister, Awad Ibn Auf, and security officers who were involved in tackling protests over recent months. The military has also agreed to not disperse thousands of protesters who remain outside of the army’s HQ, demanding the implementation of a civilian government. 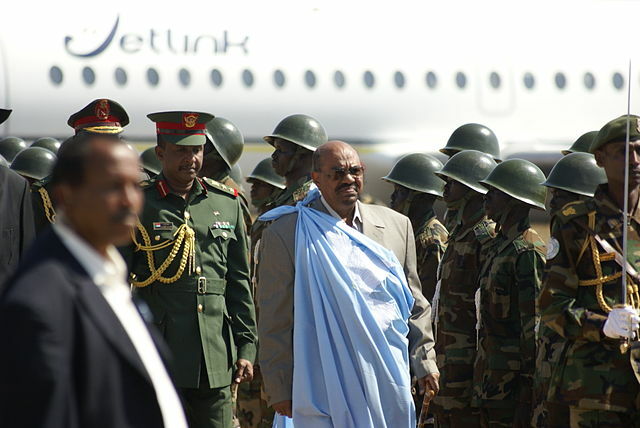 Sudan’s foreign ministry on Sunday urged the international community to back the country’s new military government. Saudi Arabia and the UAE had already announced their support for the transitional council in a joint statement, late on Saturday.